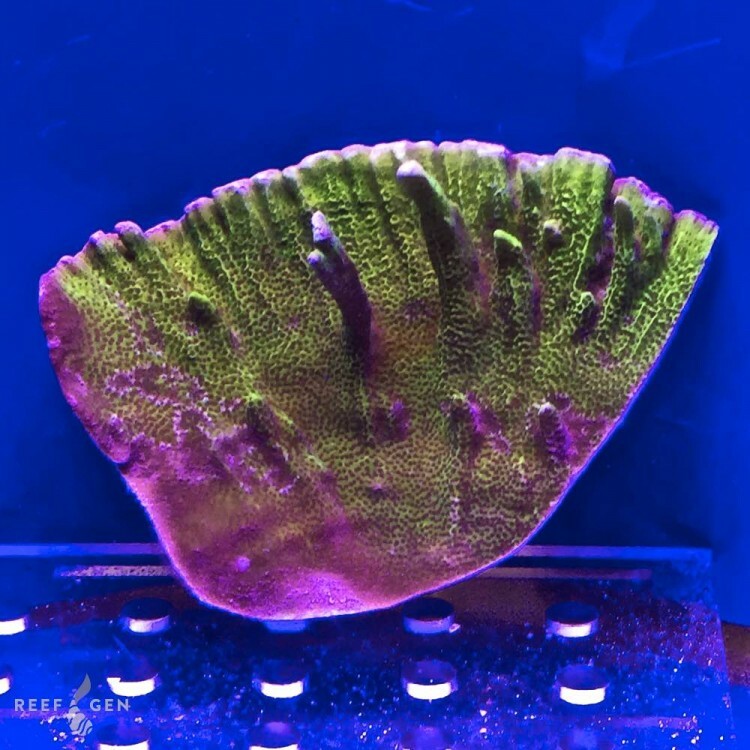 A Monti featuring the classic Spongodes coloring, but the growth shape of a Confusa. This will encrust, plate, and branch leading to some truly unique growth forms. 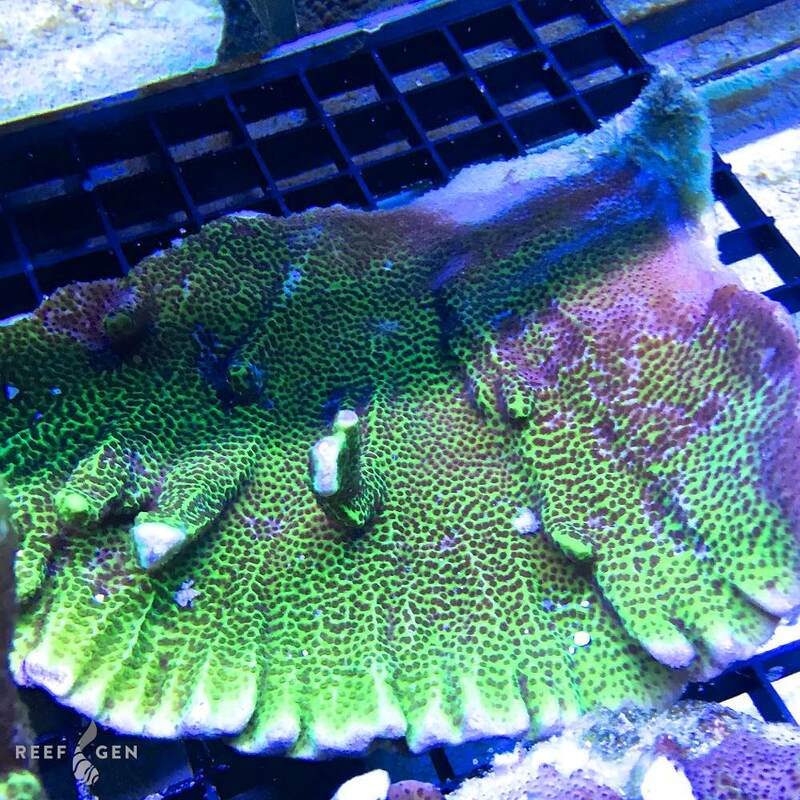 This WYSIWYG comes from a 24″ behemoth colony Joe has growing in the big tank.